The sculpted steel Bentley Supersports special limited edition of 1,000 features a knurled bezel reminiscent of Bentley’s control buttons. 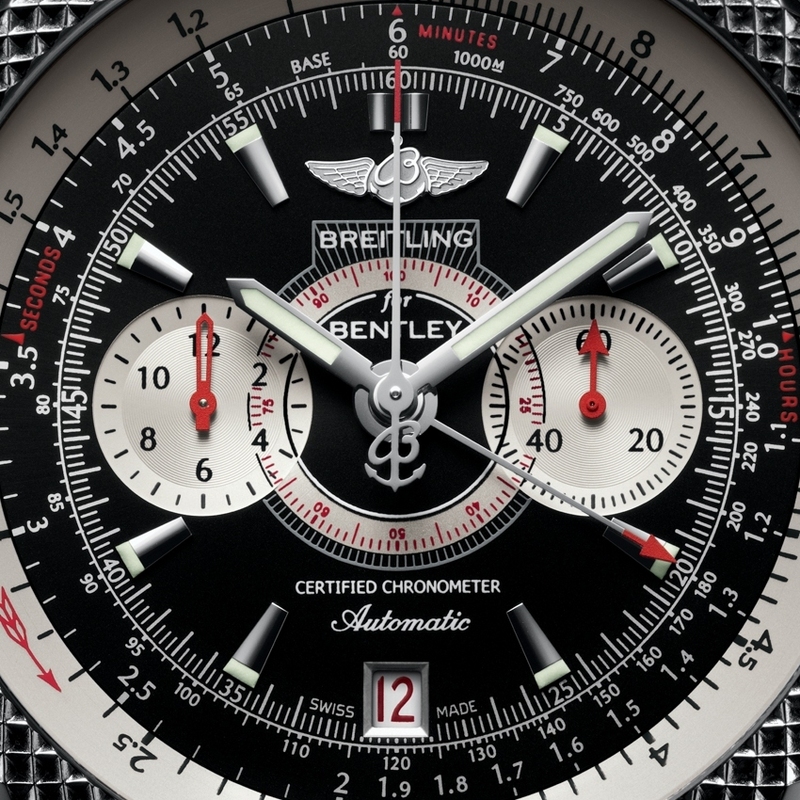 Under this powerful sporty chassis throbs an exclusive Breitling for Bentley motor, a COSC-certified chronometer movement with a centre 60-minute counter. This unique system also has a 12-hour counter at 9 o’clock and a central scale for the hundredths of an hour or minutes. Along with the traditional fixed tachometer, the “dashboard” dial also has a variable tachometer with a circular slide rule. 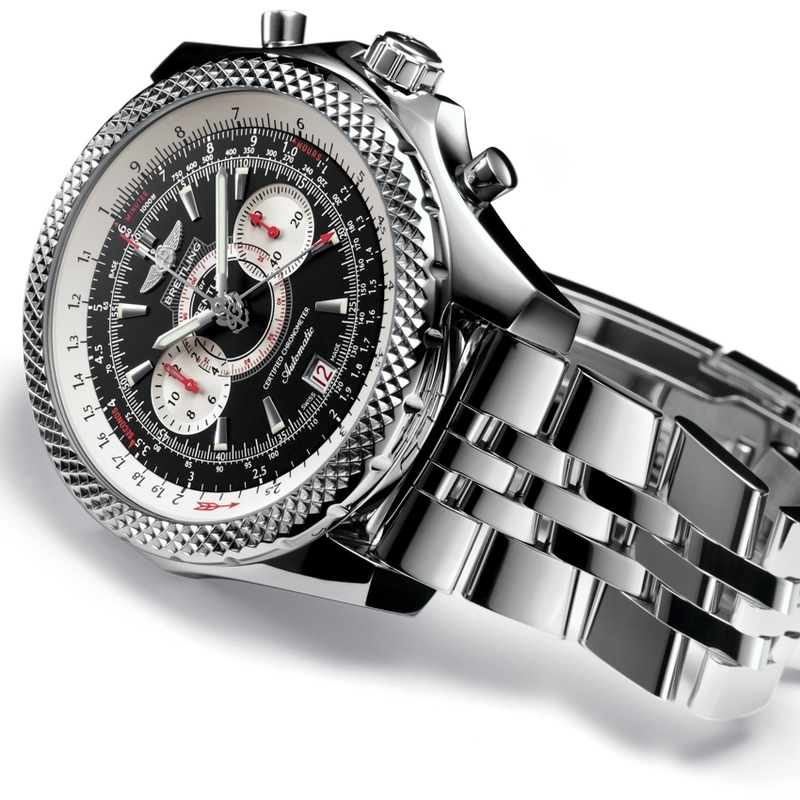 Unlike standard tachometers, which can only record measurements over 60 seconds, this exclusive Breitling invention can measure average speeds over any length of time, as well as the distance covered and the maximum speed attained.